It is almost your birthday, and since you will be getting a lot of fun new things soon, I want you to work on something nice for others. Collect canned goods from your friends and family, and take them to the food back. There are a lot of people that do mothball food to eat every night. They will be very thankful for your donation. 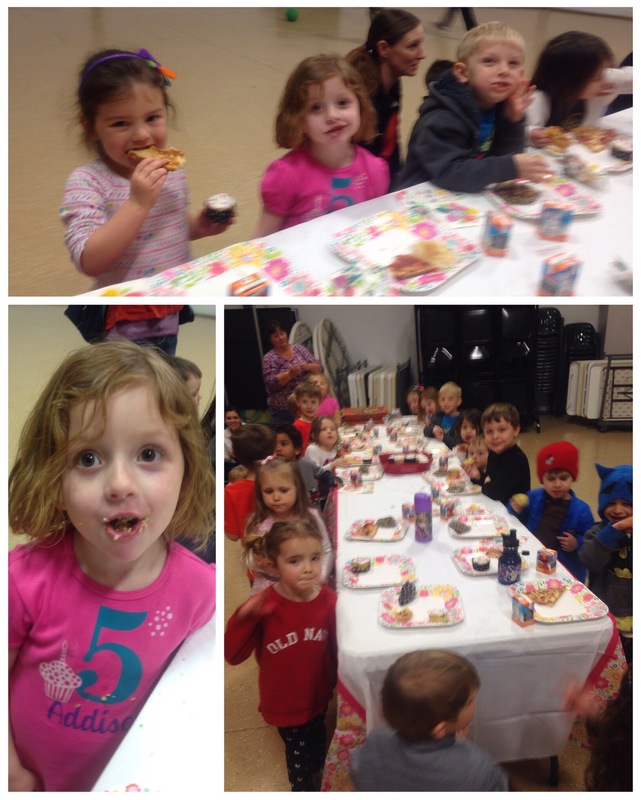 We had a pizza and cupcake party after school for all of her school friends! They loved it! 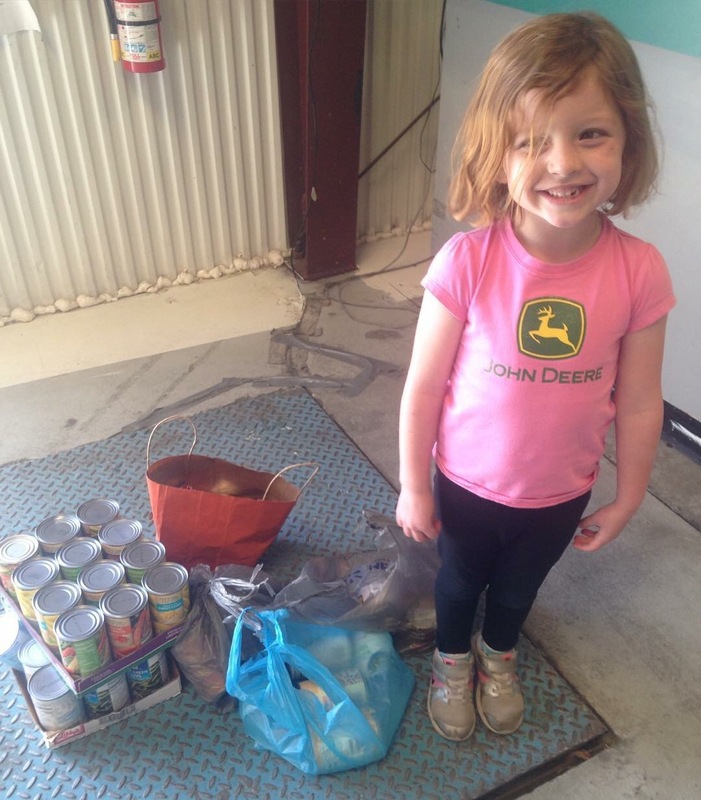 We collected a few more things from other people, and then made our donation to the food bank! 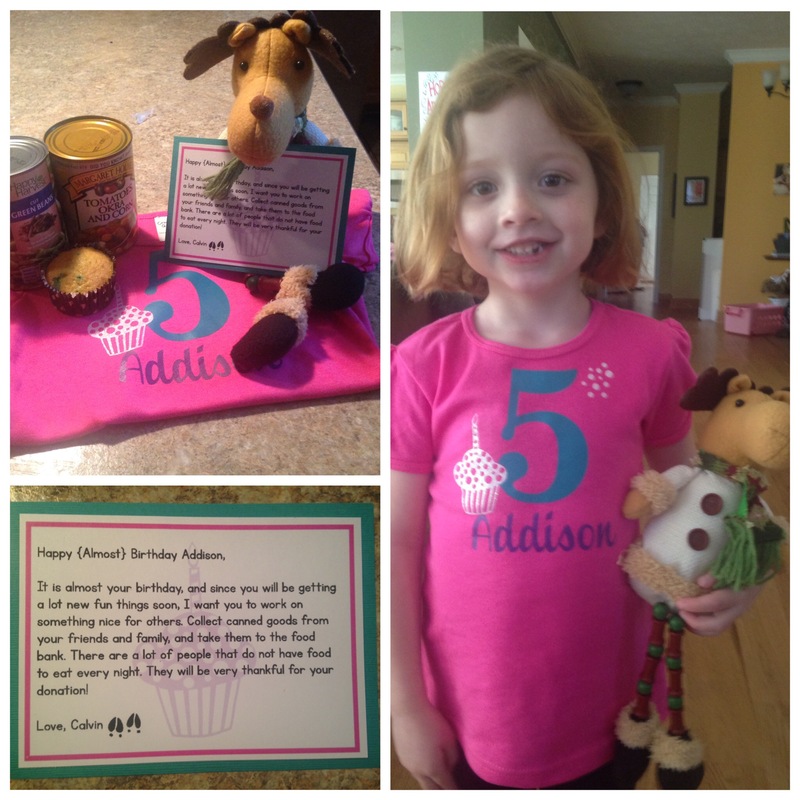 She told the people at the food bank that Calvin asked her to collect cans for her birthday, so explained our kindness mission! They were very proud of her for her kind act!